Are you ready to brawl? Step inside the game and duke it out to be one of the top 6 guilds of Midgard at Ragnarok Champion’s League: Lords of Midgard! Raise your banners and rally to represent your guild at the Ragnarok MYSG Championships 2018! Get ready to strike fear because battle cries do not include tears. 1. Lords of Midgard will run from August 25 to October 9. 2. There will be two seasons. 3. The top three guilds of each season will advance to the Ragnarok MYSG Championships. 4. The top three guild of Season 1 will be disqualified from joining Season 2 (e.g. If Guild A is 2nd in Season 1, and decided to join Season 2, placing 3rd, they will not be counted in Season 2. Instead, the 4th placer for Season 2 will be considered as the 3rd contender in Season 2). 5. Restoration of castles to owners will be done at the end of Lords of Midgard Season 2. Note: In case a Top Three guild is unable to participate due to circumstances listed below, the next highest guild will replace them. 1. Alliance system will be suspended for the Lords of Midgard event. 2. All castle ownerships will be rescinded and transferred to the GMs prior to August 25. 3. Tech will be reset to zero. Castle ownerships and Tech as of August 21 will be recorded by the GMs. 4. Players with guilds will be able to attack castle Emperiums at the start of the next WoE (August 25). 5. There will be no guardians at the beginning. You can start Tech from the moment of capture. (Castle and Tech will be restored to their original owners and points prior to the event). 1. Participating guilds must take ownership of the castles by the end of the WOE that day. A guild must have THREE CASTLES in order to get the Conquer points for that city, if their main castle is in that city (e.g. Guild A’s main castle is in Britoniah, they must get two more castles in Britoniah to get Conquer points in Britoniah). Conquer points will be rewarded to a guild with TWO CASTLES in a city if their main castle is in a different city (e.g. Guild A’s main castle is in Luina, and they have two castles in Britoniah. Conquer points are awarded in Britoniah for that guild). *These are examples only and apply to the cases above. - For guilds with multiple ownerships, Tech Points will only be considered from their castle with the highest Tech Point. - Scores will only be calculated at the end of the WoE on that day. - Points will be accumulative for each season. - Greenwood Lake castles are reserved for guilds who do not wish to participate in RMSC. - Participating guilds who conquer castles from Greenwood Lake will merit a -1 point for each castle owned. - Scores earned on WoE dates will be added the business day after the WoE date. * Part of RMSC. Subject to scoring System. ** Not part of RMSC. Deduction of 1 point per castle owned. - Guilds who disband while concurrently owning castles out of WoE time will merit a PERMANENT BAN on their guild leader’s ID. - In such cases, no points will be calculated from those castles. -Case 1. Guild A is the current owner of a castle but the guild master decides to break the guild outside of WoE time. Guild B then decides to break the Emperium of Guild A’s former castle outside of WoE time. When the next WoE time comes, and Guild B is able to maintain/regain ownership of said castle by the end of that WoE, Guild B cannot get any score from that castle. -Case 2. Guild A is the current owner of a castle but the guild master decides to break the guild outside of WoE time. Guild B then decides to break the Emperium of Guild A’s former castle outside of WoE time. When the next WoE time comes, and Guild C is able to get ownership of said castle by the end of that WoE, Guild C will get scores from that castle. - If there is still a tie with the # of castles conquered, resolutions will be announced at a later time. - If there are uncontrolled circumstances (e.g. Server Crash) that affect all guilds, the guild that conquers the castle the at the first possible instance will get the score. (Scores will still be updated on the next day at 14:00 MYSG Time). 5. 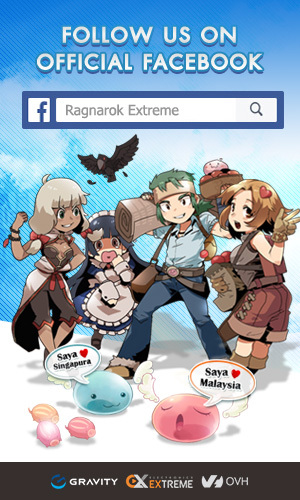 Players who commit punishable offenses as stated in the Rules of Play of Ragnarok Online will be banned from the competition and will be punished accordingly to their transgressions. 6. All company decisions, once announced, are final and irrevocable. All castle ownerships will be rescinded, and temporarily transferred to the GMs prior to August 25. Tech will also be reset to zero. This is so that all guilds will start at a level playing field. All participating guilds will be able to attack the Emperiums once WoE starts on August 25. There will be no Guardians protecting the agits for this instance. At the moment of capture of castles from the GMs, hired Guardians will respawn, and guilds can start Tech. Note: Castle ownership and Tech points will be returned to the guilds that own them by the end of the August 21 WoE. WoE 2 Tuesday, August 28th: Guild A conquers 2 castles at Prontera (Kriemhild/Skoegul), 3 castles at Geffen (Jyolbriger/Leprion/Bergel), and the highest Tech is at Jyolbriger with a hypothetical Economy Tech of 20 and Defend Tech of 15. This guild will get 2 points from conquering multiple castles in both Valkyrie Realm and Britoniah on top of their Tech Score of 5 [(20÷10)+(15÷5)]. Guild A gains 7 points from this WoE. WoE 3 Saturday, September 1st: Guild A loses all of their castles. However, Guild A gets 1 castle at Luina (Hohenschwangau) and 1 castle at Greenwood Lake (Red Palace). Hohenschwangau has an Economy Tech of 32 and Defense Tech of 26 . This guild will get a Tech Score of 8.4 [(32÷10)+(26÷5)] but will have a deduction from their Payon agit. Guild A will total to 7.4 score points for this WoE.